Disasters are awful, and nobody wants to face them, not even in the worst of their dreams. But, you have no control over some scenarios that do wallop at some point that affect your Exchange Server data and environment. Some of them are external and unexpected like hardware failure, connectivity issues or failed connection. Therefore, you should be prepared beforehand to face such issues and consider taking timely backups and restore methods in advance. Provides a solution to take local as well as remote data backup. Provides removable storage from Windows 2003. 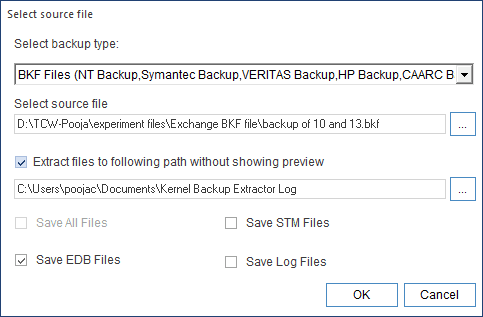 The tedious task of restoring Exchange Server EDB files from BKF files that include NTBackup, Symantec Backup, VERITAS Backup, HP Backup, and CAARC backup is now made simple with the advanced tool offered by Kernel Data Recovery named as Kernel for Exchange Server Recovery. 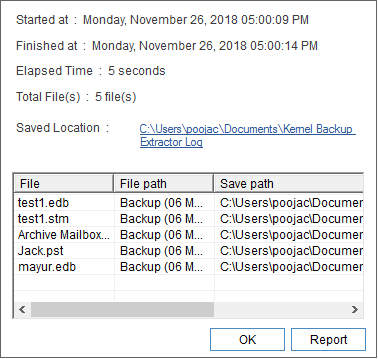 The tool is incorporated with innovative algorithms that instantly helps you to extract and save EDB files, STM files, and Logs files successfully to the desired location. Step 1: Launch Kernel for Exchange Server software and click the Extract Backup from the ribbon menu. Step 2: Now, browse to add source as BKF file and set a destination path to save the EDB files after extraction. Click OK button to proceed to the final step. Step 3: All the EDB files are successfully saved to the desired location, you can save the report for future use. It takes instant actions to convert and extract data from EDB to PST file. 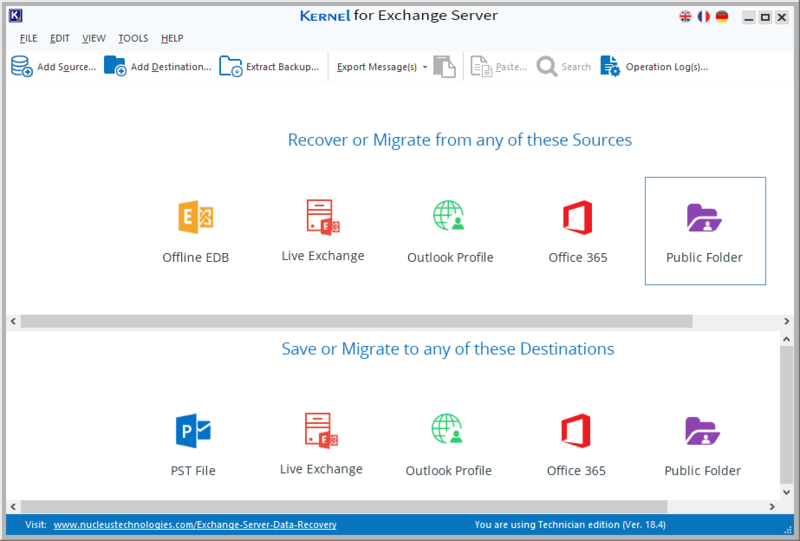 Successfully migrates Offline EDB files, Live Exchange, Outlook Profile and Office 365 account to PST, Live Exchange (On-Premise), Outlook and Office 365 (Exchange Online). It is incorporated with an inbuilt backup extractor that works efficiently to restore EDB files, NT Backup, Veritas Backup and more. The software also works to restore data from corrupt EDB files. As we know, Windows NTBackup is the built-in utility that restores backups created on Windows XP and Windows Server 2003 to Windows-Vista and Windows Server 2008 which are now outdated versions for most organization. But, here is the hassle-free solution restore backups from BKF files of Windows using the third-party tool. The tool readily helps small as well as medium size Exchange organizations to extract data from BKF file and save them to different file formats.